China's stake in Laos' sustainable-energy sector paves way for closer long-term Belt and Road collaboration. Hydropower: Alleviating poverty across Laos while driving international co-operation. 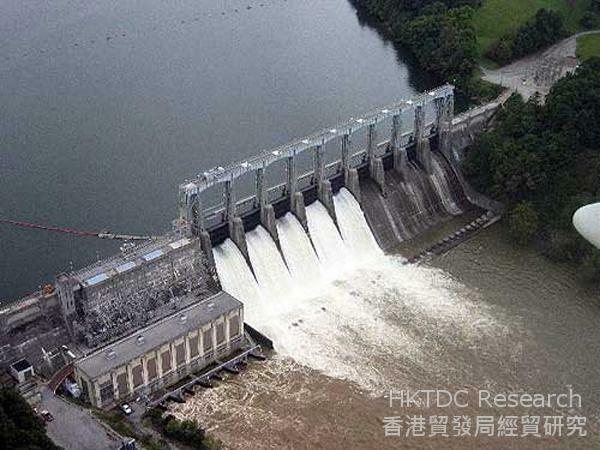 China and Laos jointly initiated work on the second phase of the 1,156 MW Nam Ou Cascade Hydropower Project earlier this year. The project, set on Laos' principal river, is seen as one of the country's key contributions to China's Belt and Road Initiative (BRI). With Laos' GDP for 2016 recorded at just US$15.9 billion, China has shouldered the bulk of the cost of the $2.8 billion initiative in exchange for the concession to operate the hydropower installation for the next 29 years. Once completed, it will comprise seven dams and hydropower stations and have a projected capacity of 1,156 MW, together with an annual energy output of 5,017 GWh. The lead on the Chinese side has been taken by Sinohydro, a Beijing-headquartered state-owned hydropower engineering and construction company, which entered into an agreement to develop the project on a joint-venture basis with Electricite Du Laos (EDL), the Laos state electricity corporation, which holds a 15% stake in the site. Under the terms of the project, all electricity generated will be sold to EDL. Significantly, Nam Ou is the first project for which a Chinese enterprise has secured the whole basin rights for planning and development. With work on Phase One completed more than two years ago – comprising construction of the Nam Ou 2, Nam Ou 5 and Nam Ou 6 plants – the site generated its first electricity on 29 November 2015. In total, the capacity of Phase One is estimated at about 540 MW, almost half the total envisaged for the completed project. The groundbreaking ceremony for the second phase was held some five months later and marked the beginning of the work on the remaining plants – Nam Ou 1, Nam Ou 3, Nam Ou 4 and Nam Ou 7. This second phase is scheduled for completion in 2020. Emphasising the importance of the initiative, Dr Khammany Inthilath, the Lao Minister of Energy and Mines, said: "Once completed, the Nam Ou Cascade Hydropower Project will have a major role to play in the reduction of poverty across Laos. In particular, it will boost the socio-economic development of Luang Prabang and Phongsaly provinces, immeasurably improving the living standards of local residents. "It will also play an important role in regulating the seasonal drought problems in the Nam Ou river basin. Ultimately, we hope it will ensure downstream irrigation for the region's plantations on a long-term basis, while also reducing soil erosion." Despite Inthilath's optimism, the project has attracted criticism on a number of fronts. Firstly, there have been concerns over the possible adverse environmental impact of such large-scale hydropower projects, particularly given the scale and number of hydropower developments currently under way along the Mekong River and its tributaries. In addition to the Nam Ou project, China is also involved with several other hydropower installations, including Don Sahong, Pak Beng and Xayaburi. A second wave of criticism has come from outside Laos, with a number of neighbouring countries expressing concerns that the cumulative effect of the hydropower projects already under way may adversely impact on the flow of the river. To this end, the governments of Thailand, Vietnam and Cambodia have all gone on record as objecting to the expansion of Laos' hydropower programme. It is the sheer scale of Chinese investment in Laos, together with the country's resultant indebtedness, that has triggered a third wave of criticism. By the end of 2016, with $5.4 billion worth of funding already in place, China was by far the largest overseas investor in Laos. According the Lao government's own figures, by the end of 2016 Chinese companies had signed up for $6.7 billion worth of construction projects in the country – some 30.1% of the total earmarked for Laos' infrastructure upgrade. The overall scale of the deals already in place makes Laos the third-largest market for China in the ASEAN bloc. Overall, though, taking an active role in China's Belt and Road Initiative has been seen as a good fit with Laos' long-held ambition to shift from being a land-locked nation to becoming more of a land-linked economy. Furthermore, Laos' ongoing co-operation with China on a series of energy projects has underlined the positive relationship between the two countries. Highlighting this, while speaking at the launch ceremony for Phase Two of the Nam Ou Cascade Hydropower Project, Li Baoguang, the Chinese Consul-General in Luang Prabang, Laos' ancient capital, said: "This year marks the 55th anniversary of the establishment of diplomatic ties between China and Laos and there could be no better way of commemorating that than with the commencement of work on this joint venture."